Have you drunk the America's Test Kitchen Kool-Aid? If you have, then you're sure to be an addict a fan. I am fully in the ATK camp and love their product reviews and their recipes. Although I've been using a pressure cooker for years (see my stovetop pressure cooker post from 2011) and feel very comfortable with it, I'm happy to learn new tricks, especially for using the electric multicooker (Instant Pot is a popular brand), which I've owned only a couple of years. In their new cookbook, Multicooker Perfection, ATK reviews machines, offers advice, and provides well-tested recipes. I went ahead and bought a copy, sight unseen, because I have total trust in ATK. The focus of Multicooker Perfection is to take a single recipe and give directions for making it fast (under pressure) or slow (using the machine's slow-cook setting). Soup in under an hour in the evening or soup that cooks all day while you're at work: you choose. If you're thinking about buying a new electric pressure cooker / multicooker, start here. 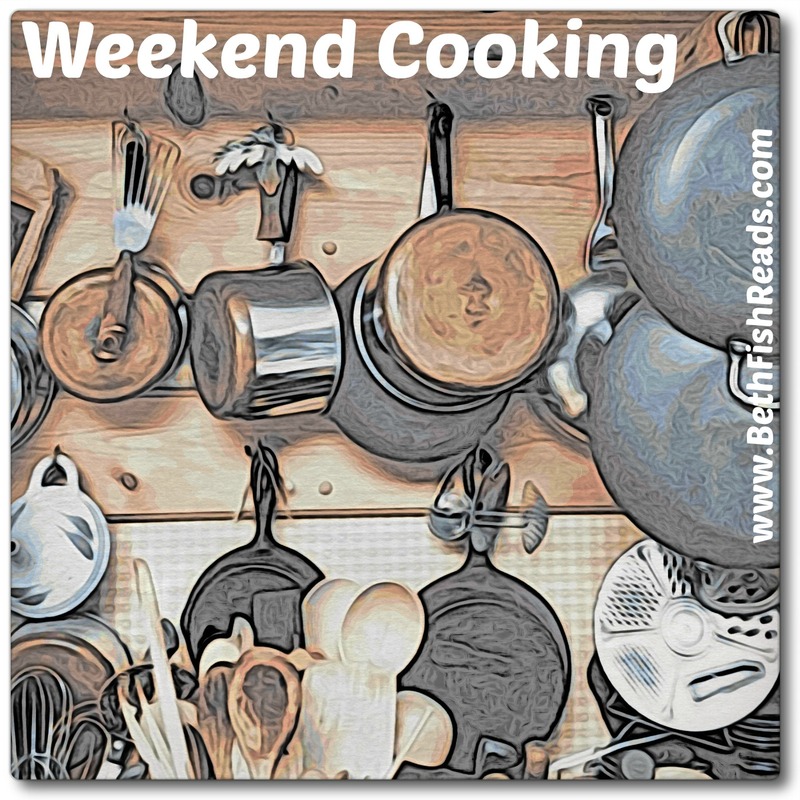 ATK reviews different brands of pressure cookers (spoiler: the Instant Pot is not their top pick, though it is still a recommended brand) and explains how the machines work. If you caved under peer pressure and bought an electric pressure cooker but have no idea what to do with it, ATK will be your hero. This book (similar to the Melissa Clark's pressure cooker book, which I reviewed last fall) highlights the tasks the electric pressure cooker does best. Because the recipes come from ATK, you know they will work, and the authors even tell you exactly why they work. The recipes demonstrate basic pressure cooker techniques, making it easier for you to adapt your family favorites. You may have noticed I've said little about the slow cooker directions included with each recipe. Frankly (and this is just my opinion), I wouldn't use my machine on the slow setting. I have slow cookers that work just fine, and none of the pressure cookers ATK reviewed received an "excellent" score for its ability to mimic a standalone slow cooker. A fifth chapter collects "Ten Unexpected Things to Make in Your Multicooker." 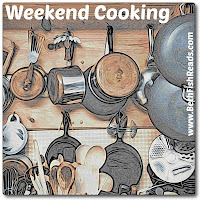 The recipes are all easy and cover a wide range of flavors: Asian, African, European, New World, and down-home. I appreciate the good balance of meat/fish recipes to vegetarian/vegan; there are dishes to meet almost every dietary style. Two of the chapters are self-explanatory, the others, not so much. In "Easy Suppers" you'll find mac and cheese, poached salmon, pasta dishes, and several recipes that call for braising. "Simple Sides" includes mostly vegetables but also risotto and bean dishes. Among the recipes in the final chapter are homemade almond milk, mulled cider, and Boston brown bread. 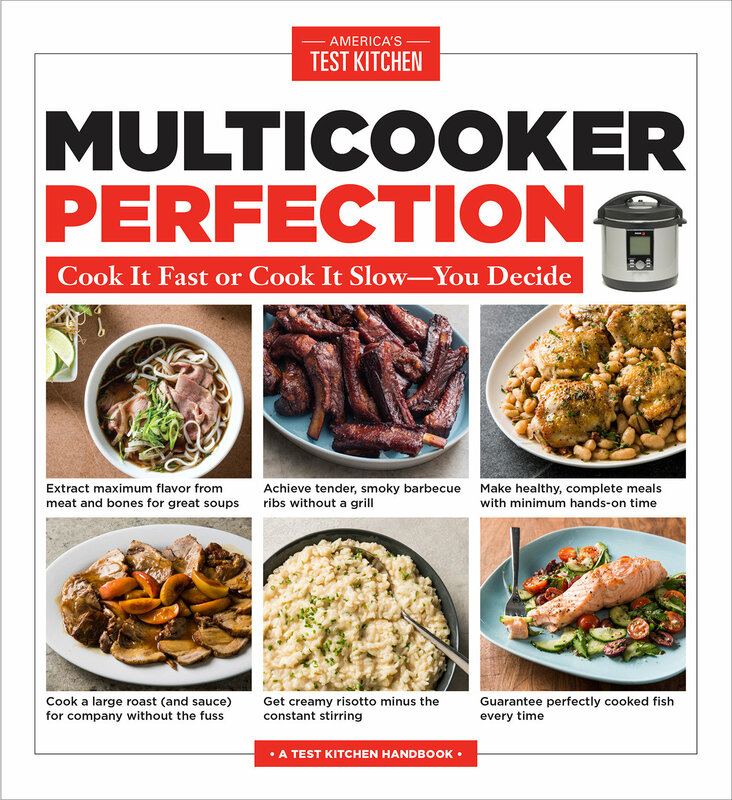 As I mentioned earlier, Multicooker Perfection is best suited to new users or those who haven't yet developed the confidence to use their pressure cooker several times a week. I don't make all the dishes ATK suggests for the pressure cooker (I think it's just as easy and fast to make mashed potatoes on the stove as it is to use the pressure cooker, for example), but that's just me. 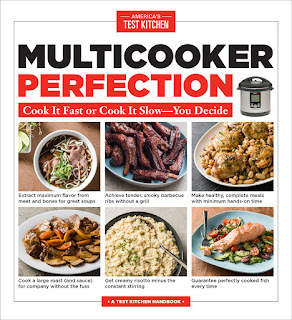 Experienced multicooker users will want to borrow a copy of Multicooker Perfection from the library; the rest of you can just go ahead and buy the cookbook. You won't be sorry. I'm not, and I've been using a pressure cooker for more than 20 years. 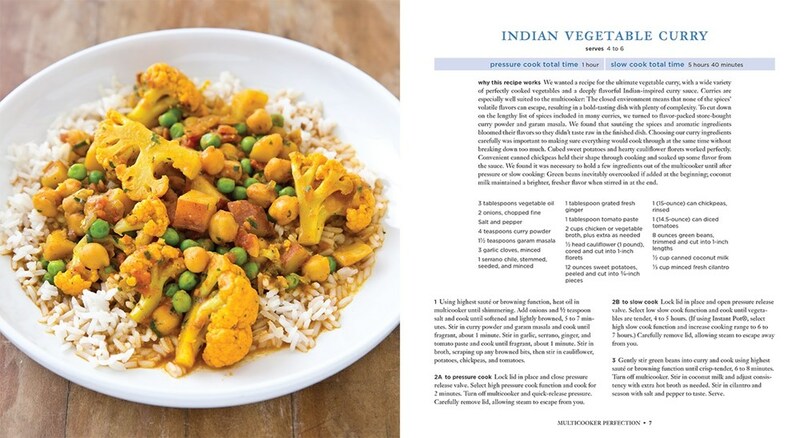 Here's a scan with a recipe for a vegetarian curry. 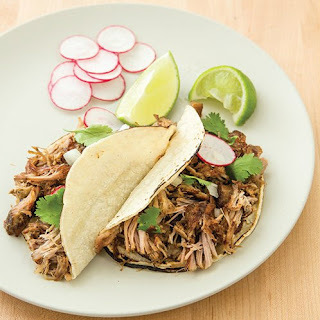 The recipe below and the photo of the pulled pork tacos above are from America's Test Kitchen's Multicooker Perfection (all rights remain with the original copyright holders). Click the image to enlarge it, so you can read the recipe. I also am a fan of ATK. And curry! You've mentioned the Instant Pot before -- it does seem to work very well for you. I used to watch America's Test Kitchen before the leadership redo, and it did have some good ideas, so I'm convinced that you are right: if anyone could present good recipes for the Instant Pot, it would be ATK. But I just don't feel the need for a new appliance now, and I have plenty of time for cooking so I particularly don't need this one! I wrote three food posts this week, so I linked all three, I hope this is ok.
Oh, this book sounds just right for me. I've long had a fear of using a pressure cooker, and more recently, lots of curiosity about multicookers. And I do have confidence in ATK, so well have to check this one out. Well, I'm totally out of things, not having read anything by ATK, or having an instant pot. Just old fashioned pressure cooker, slow cooker and now sous-vide:) Will check out this one in the library though. I use my slow cooker but never a pressure cooker. They scare me from cooking contest shows! think a nap will be in order after getting up to watch the wedding! Great review. ATK is always a reliable source and it sounds like this book is a good one. I have a pressure cooker and a slow cooker but have not caved to any pressure for a multicooker and likely won't, so it's one I'd definitely check out from the library. I remember my mom using a pressure cooker a lot when I was growing up but it's the one small kitchen appliance I never bought, until the Instant Pot came out. I still haven't bought one, but am planning on getting one soon. I just need to decide which one I want. I'm so glad you posted this review. I was given one of these "things," but I have no idea how to work it. I'd love a good, complete cookbook which I know I"ll get from ATK. Thanks.